With more than 50,000 of them studying in Sheffield, at either the University of Sheffield or Sheffield Hallam University, you won’t be surprised that much of what happens in the city has students at its heart. The University of Sheffield sprawls across the west side of the city outwards to the leafy hubs of accommodation that make up the Endcliffe and Ranmoor student villages. Sheffield Hallam University has its learning buildings in a more concentrated area around the city centre, with its Collegiate Campus around 1.5miles from the centre off the busy Ecclesall Road, where you’ll find an eclectic mix of cafes and bars, designer boutiques and independent restaurants. 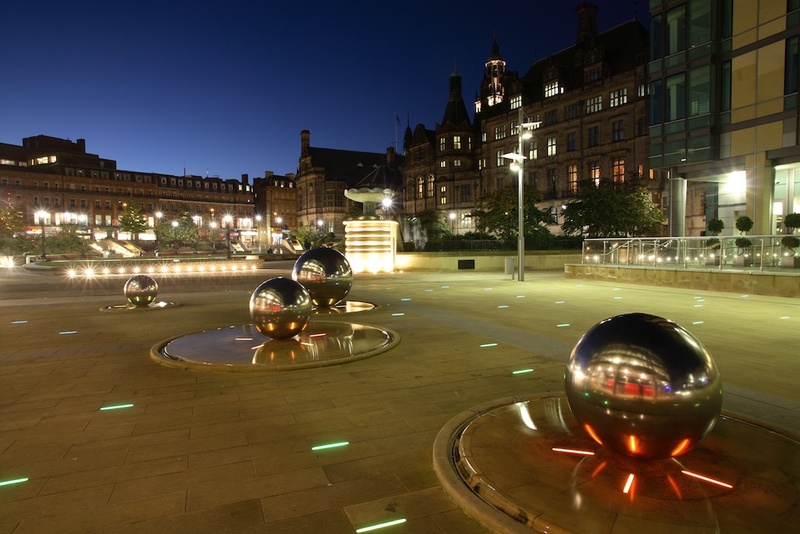 With great public transport, getting around Sheffield is never difficult, but you can get a real insight into the city by strolling around the city centre. Take in the Millennium Gallery, and the Metalwork Collection containing some of the finest examples of cutlery, flatware and tableware that have made Sheffield famous around the world. Walk through the Winter Garden and into Millennium Square where you’ll find a great selection of bars and restaurants serving you anything from fine coffee to cuisine from around the world. 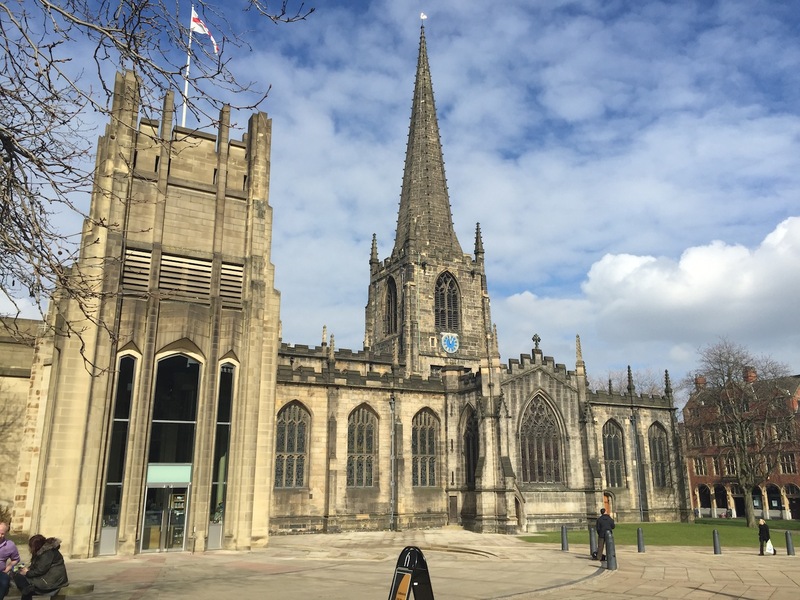 The city centre architecture ranges from ‘just built’ modern to medieval in the blink of an eye, with some of the most stunning (and oldest) on view at Sheffield Cathedral and the Cathedral Church of St Marie; free of charge guided tours are available at both. Whether you’re looking for 4 star luxury or family run B&B, there are plenty of places to stay in Sheffield. The University of Sheffield has its own Halifax Hall hotel in the Endcliffe village with rooms from as little as £50 per night. Or enjoy the luxury of the Mercure St Paul’s Hotel with its leisure club and health spa. Pick the right time and you can pick up a room for as little as £85. If simpler, but no less comfortable, decor is your choice, take a look at Jury’s Inn, located right in the city centre. The recently opened Brocco on the Park offers a boutique experience – with eight individual rooms: check out the Woodpecker’s Roose, with its spectacular views across the city’s skyline. Independent restaurants and cafes have become the norm in Sheffield, whilst those with a more familiar name have upped their game to reflect the contemporary buzz in the city. If it’s a caffeine fix you’re after, stop for a while at Tamper Coffee, Sellers Wheel, the white washed former silversmiths where you can sample a little bit of relaxed kiwi café culture thanks to its proprietors personal touch. Or take time out at Marmadukes Café Deli where seasonal food, although world inspired, has a quintessentially British feel. You can eat freshly baked doughnuts with your coffee at The Depot Bakery, set in a cosy courtyard on Kelham Island, once the heart of Sheffield’s steel industry. The Mediterranean is a seafood lover’s dream – with big portions of lobster, prawns, paella and seafood stews a speciality. For vegetarian or vegan foods, try The Blue Moon Cafe in the city centre. And for pub grub at its best head for The Broadfield, in the Antiques Quarter – with its signature pie, chunky chips, mushy peas and lashings of gravy. Take a quick jaunt to Ecclesall Road or London Road – both just a mile or so from the city centre – and you can take a culinary world tour: restaurants serving dishes from every continent; pubs serving gastro-style dishes & locally brewed ales… something for all tastes and budgets. 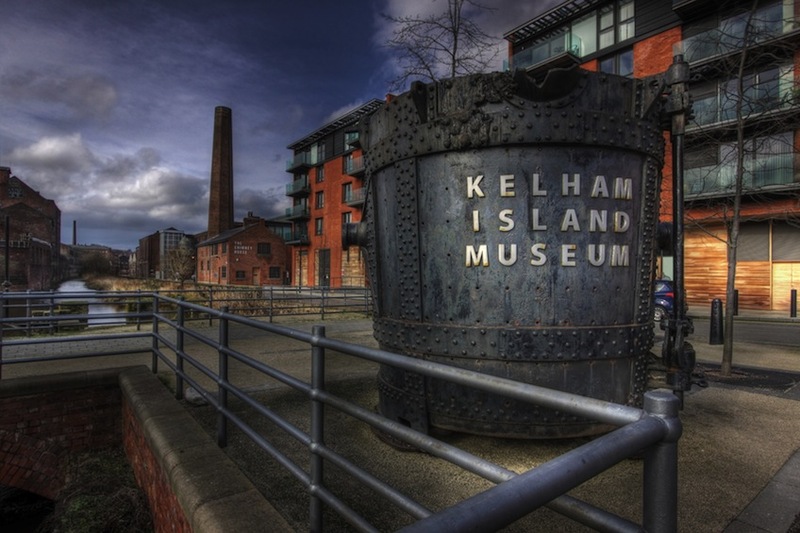 To get a feel for what makes Sheffield great, world famous and still at the cutting edge of innovation, don’t miss out on a visit to Kelham Island Museum which tells the story of the major manufacturing industries of Sheffield; metalworking, cutlery making and silver and hollow-ware manufacturing … everything from battle ships to beautiful hand built cars, heavy machinery to hand forged pocket knives, the technology and skills that are the backbone of the city are displayed. Add to that the magnificent sight of the largest surviving steam powered engine in Europe making the earth move beneath your feet, this really is something not to miss. Although built on industries that once blackened the skies over Sheffield, the city is also surrounded by nature – seven hills and five rivers. Beautiful open spaces abound with riverside walks and urban exploration never more than a few minutes away. Sheffield’s Botanical Gardens is an oasis of beauty, landscaped in the original 17th Century style, and the opulent Chatsworth House, one of the largest stately homes in the UK, and the natural beauty of the Peak District National Park is less than 30 minutes drive away. For further information and to start planning your visit to Sheffield take a look at www.welcometosheffield.co.uk and www.ourfaveplaces.co.uk, the official on-line visitor and cultural guides to the city.